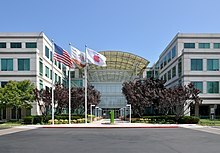 Apple Inc., formerly Apple Computer, Inc., is a multinational corporation that creates consumer electronics, personal computers, servers, and computer software, and is a digital distributor of media content. The company also has a chain of retail stores known as Apple Stores. 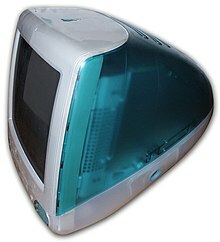 Apple's core product lines are the iPhone smartphone, iPad tablet computer, iPod portable media players, and Macintosh computer line. Founders Steve Jobs and Steve Wozniak created Apple Computer on April 1, 1976, and incorporated the company on January 3, 1977, in Cupertino, California. This page was last edited on 23 April 2019, at 18:27 (UTC).